We’re all better off when we work together, especially when it comes to promoting the great British pub. So we think it would be great if we were able to grow our community of pubs and bars at useyourlocal.com, and collectively get more people to go to the pub more often. To share the love all round, we’ll give you £50 when you introduce us to a pub or bar who subsequently sign up to our website service, and we’ll give them £50 off their sign-up fee. They save, you earn, and we all help get people off their sofas and into the pub. It’s a win – win – win! Our Refer-a-Pub program allows registered Useyourlocal Gold Plan members to earn themselves and another pub or bar £50 each by introducing them to the Useyourlocal Gold Plan service. Only signed up members of the Useyourlocal Gold Plan (“Referrer”) are eligible to participate in the Refer-a-Pub program. To be eligible for the payment the referred member (“Referee”) must have successfully purchased a Gold Plan membership with Useyourlocal. For the avoidance of doubt and without prejudice to any rights or remedies otherwise available to Useyourlocal under applicable law, Useyourlocal members are not permitted to impersonate Useyourlocal, use the Useyourlocal domain names or trademarks (apart from any banners and links we provide) or to post adverts or sponsored links on search engines which appear when users search for the Useyourlocal brand or trademarks (commonly known as brand term bidding), and any referrals arising out of or in connection with any misuse or infringement of the Useyourlocal domain names or trademarks shall not qualify for Refer-a-Pub. 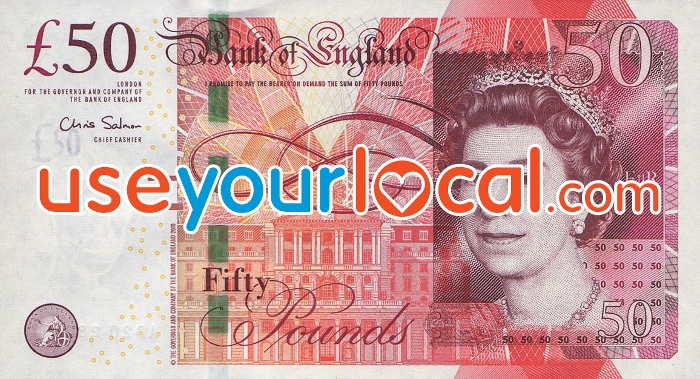 Each existing Useyourlocal Gold Plan member (“Referrer”) will receive a reward of £50 for each pub (“Referee”) who signs up to Useyourlocal and has a website successfully purchased by Useyourlocal. If the Referee does not fulfil the purchase, then the Referrer will not qualify for the reward. Each Referee who signs up to Useyourlocal via Refer-a-Pub and has a website successfully launched by Useyourlocal will receive £50 off the cost of the initial set-up fee, of which there is a choice of 3 options – £600/£400/£250 (initial setup fee is dependent on onward payment plan selected i.e. Yearly/Higher Monthly/Lower Monthly). In each eligible case, the reward for the Referrer / Referee will be delivered by a method of payment decided by Useyourlocal which could include a bank transfer, cheque, PayPal or other. The Referee must sign up as a member of Useyourlocal using the name of the Referrer and their outlet. Referrals cannot be made by any other means other than via an existing member of the Useyourlocal Gold Plan. You cannot refer yourself or an existing Useyourlocal member. The Referrer / Referee will be remunerated by Useyourlocal once the Referee’s Gold Plan membership has been purchased. Payment will be made within 90 days following the confirmation of a successful Gold Plan membership purchase. Only the Referrer / Referee named in the initial referral will be eligible to receive the reward. It is non-transferrable. In any disputed case the decision of Useyourlocal is final and binding. This promotion begins from 08/10/2018 and Useyourlocal reserves the right to withdraw it at any time in the event that unforeseen circumstances make this unavoidable. In this situation a notice of withdrawal will be sent to all Useyourlocal Gold Plan members. Useyourlocal reserves the right to amend, withdraw or extend any or all elements of this promotion at any time, without prior notice.